Activating the transverse abdominus has received a lot of publicity in the last ten to fifteen years. For a time people believed not training the deep core musculature was where we were going wrong with low back pain and proper core training. Back in the mid 90’s the transverse abdominus became famous when a physical therapy lab in Australia conducted a study on people with low back pain. From that they believed that people with low back pain did not activate their transverse abdominus, thus causing the pain. Although the results were mixed, the sucking in during exercise concept caught fire and became the thing to teach in training the torso. 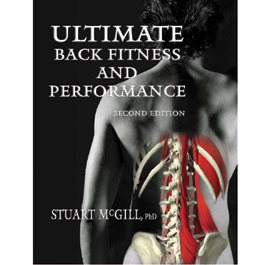 But according to Dr. Stuart McGill, who is a strict opponent of the sucking in concept, the amount of load that the spine can bear without injury is extremely decreased when athletes are told to activate the transverse abdominus and pull their belly buttons toward their spine. This is a recipe for disaster as the spine should be strong and stable at all times. Dr. McGill - Pretty smart egg! Dr. McGill, however, is a huge proponent of bracing. 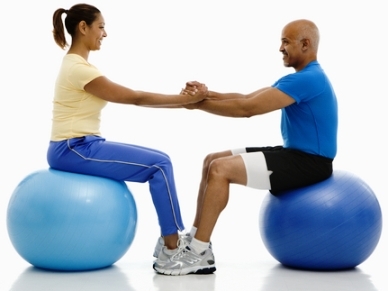 Bracing is activating all of the core musculature to support and strengthen the spine. All of the muscles associated with the core are important for stabilization, not just the abs on the front side. Contracting the entire corset of muscles that surround the spine produces strength and stability. Something we want when it comes the spine and lower back health. The study in the Australian lab produced some positive results with low back pain because they were in fact training the core musculature, and rehabilitating patients with low back pain. We shouldn’t misconstrue this for how the spine or core should be trained in healthy individuals and athletes. Teaching people to brace the entire torso is the key to strength and stability. Don’t get caught up in hollowing the abs for anything. Take it for what it was worth at the time.